Just saying the names of Sorrento, Capri and Amalfi Coast conjures up images of a warm Italian sun, steep sea-side cliffs, and the blue, inviting waters of the Mediterranean. This beautiful part of Italy has inspired artists, poets and travellers for centuries, and with good reason. The countryside, houses and topography of southern Italy are a stark contract to the more industrial north of the country. The south is more arid and the air lemon-scented; the landscape becomes hilly and steep towards the Mediterrean coastline, with houses and towns perched on cliffs. The local cuisine is fresh and delicious. Food is locally sourced from the land and sea. It feels like you’ve discovered a little bit of paradise. And you have. Our stay in this gorgeous part of Italy was not nearly long enough. But we packed memorable experiences from our multi-generational adventure that will last a lifetime. The town of Sorrento is a great place to base yourself for discovering the islands of Capri, Ischia and the Amalfi Coast. But don’t miss enjoying the lemon-scented charms of Sorrento itself. The town is very pedestrian-oriented, with narrow streets and a compact town centre. You can get anywhere quickly by walking. There are many places to stay in Sorrento that encourage multi-day visits. The town has many services such as grocery stores, banks, restaurants and shops specializing in leather goods, coral jewellery, ceramics and limoncello – a specialty of this region. There are several limoncello stores offering samples of this delicious lemon-infused digestif. A bottle of this pale liquid gold makes for a memorable souvenir. 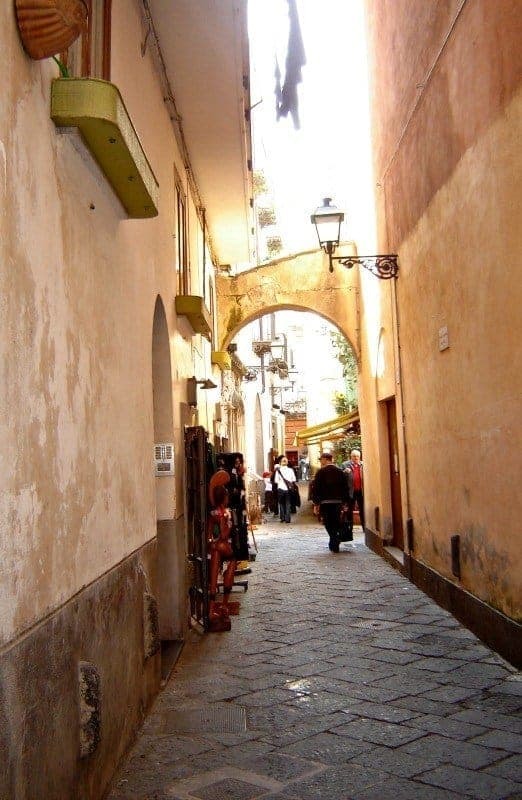 Sorrento is also very popular with British tourists, and you will hear English spoken throughout the town. From Sorrento, you can travel by train north to Rome, Naples or Pompeii, or by bus south to the towns along the Amalfi Coast. Even if you have rented a car to get to Sorrento (and we admire your courage), we would highly recommend visiting the Amalfi Coast by bus. You can purchase bus tickets at the train station in Sorrento, not far from the main square. The Amalfi Coastal road is one of the most spectacular drives in the world, but you won’t see a thing if you’re driving. The road is narrow and constantly winding its way down the coastline. Sitting up higher in a bus driven by a professional – and local – driver, you’ll be able to enjoy the the views, the curves, and snap some photos and videos while you’re at it. It’s a breathtaking journey, and takes a good half-day round trip, depending on how many stops you take along the way and how long you stay in the picturesque hillside towns. On our all-too-brief visit, we enjoyed a wonderful stop in the town of Amalfi, complete with gelato, espressos, and sips of locally-made limoncello. One of the town’s particular specialities is hand-made paper, often scented with lemons and oranges from hill-side groves. Perfect gift ideas for friends and family back home. Lemon groves are everywhere along the Amalfi Coast, and from those lemons are produced fantastic products to enjoy and take home; candied lemon, chocolate-covered lemon & orange peel, and limoncello, the strong lemon-based liqueur of the region. Many shops that sell limoncello offer tasting samples of their wares, and may even produce the limoncello in-house. It’s worth the purchase of a bottle, as it tends to be quite expensive back home. The small island of Capri has been a favorite destination for Roman emperors, celebrities and just plain regular folk for centuries. From Sorrento, you can take the fast hydrofoil ferry (leaving nearly hourly) to Capri. It’s a short 30 minute trip through the Bay of Naples, with views of Vesuvius as you speed along. One of the Island’s major attractions is the famous Blue Grotto or La Grotta Azzurra, but many also visit to browse the many high-end designer shops, walk the narrow streets, and enjoy gorgeous views of the Bay of Naples. We also discovered the best blood-orange granita drink ever. It was cool and refreshing on a hot day, which it will likely be even in spring or fall. Upon docking, if you wish to visit the famous Blue Grotto, you can hire a boat to take you there straight away. The Grotto is a very popular attraction. You’ll need some time to travel there and wait your turn to enter the Grotto in a smaller craft. If you have more than a day planned on Capri, enjoy a visit. If you only have a few hours on the Island, save it for a return trip. 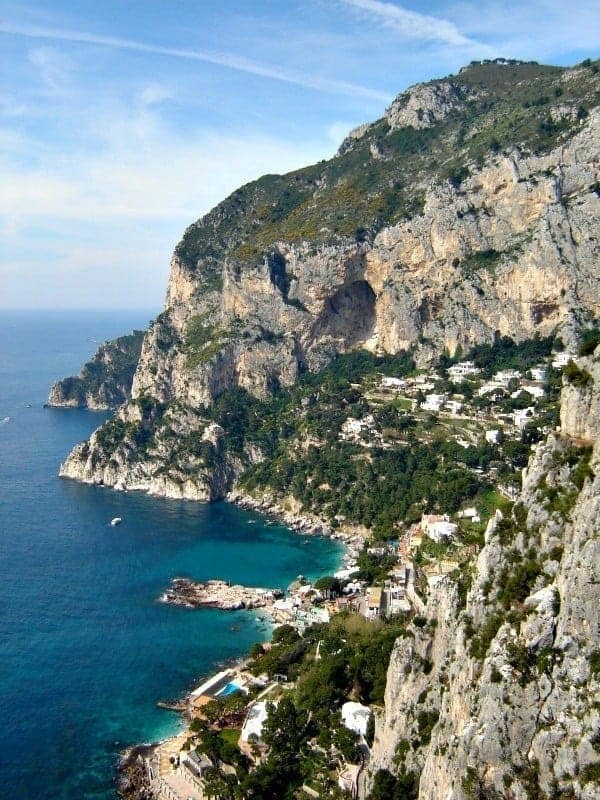 From the harbour, you can walk, or take the more popular funicular up the steep hill to get to the main square of Capri. From here you can stroll the narrow, car-free streets, people watch, and window-shop at the designer stores. We chose to do a small hike through the quiet residential areas off the main square. The regular viewpoints along the way showcase spectacular views of the Island and Amalfi Coast. Another great destination (more accessible by bus) is Villa Jovis, the ancient roman villa built by the Emperor Tiberius in the first century B.C. There are many restaurants to enjoy on Capri. You cannot go wrong by sitting down to a fabulous meal of antipasti, pizza and pasta at the Da Gemma. It’s been a local institution since the 19th century. 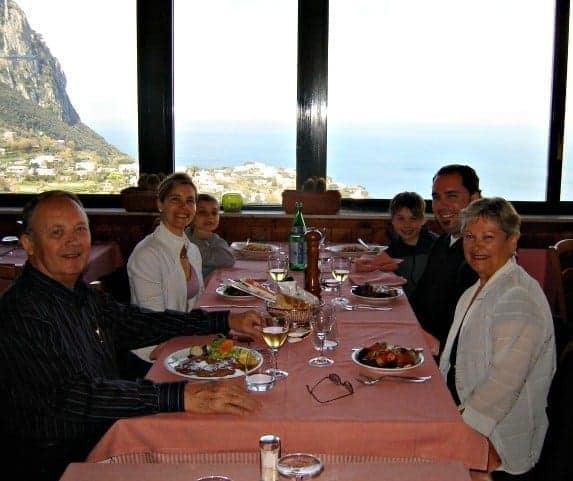 We enjoyed a memorable birthday meal overlooking Capri and the Bay of Naples. Le sigh. The Sorrento, Capri and Amalfi Coast region of Italy is quite simply, magnificent. 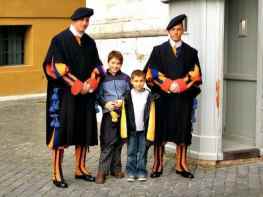 The people are friendly and they like children (just as in most of Italy), the food and weather are wonderful, and the views unforgettable. Alla prossima! Disclosure: This post contains Amazon affiliate links. Thanks for your support. 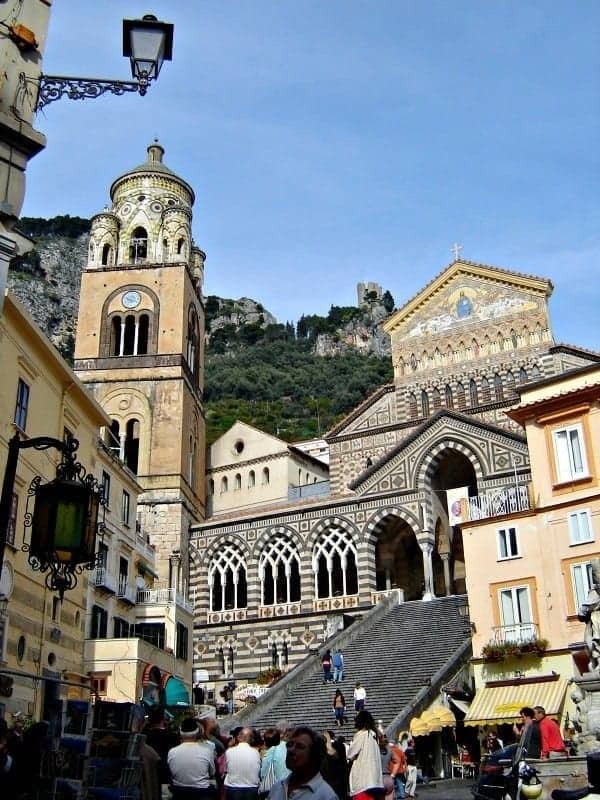 Have you visited Italy’s beautiful Amalfi coast? Share your comments below. We were in Positano and Capri around this time last year and looking at your pictures just brings back those special memories. We spent 3 days in Positano and 5 in Capri. If you get to go back, I’d highly recommend staying overnight on Capri as it is so different after the day trippers leave. And a slightly longer hike out to the Natural Arch is so spectacular. I will definitely stay overnight in Capri next time. One day is not nearly enough to enjoy the many lovely sites and walks on the Island. Thanks for the tips, Tamara! We stayed on the Amalfi Coast in April this year at a place called Conca Dei Marini about half way between Amalfi and Positano. It has to be the most beautiful part of Italy. We had a room with balcony and view was stunning, where the horizon and the sea blend in to one in the late afternoon sun. Next time we’re I would like to drive the coast road. Hi Ian I’m planning on going in April of 2016 any tips would be great! Hi Jenny, Let me know what specific questions you may have for your trip, and I’d be happy to help. Cheers! Ian – where did you stay in Conca Dei Marini? Hi Una, I would take the fast train from Rome to Naples. Provided there are no strikes of course when you go. We experienced a strike and had to negotiate with a cab to get from Naples to Sorrento! You can take the ferry to Capri from Naples or Sorrento. The Amalfi coast via car ride is stunning, but the driver won’t see much of the amazing coastline as he/she will have to keep all eyes on the road. A local bus is perfect so everyone can enjoy the ride. If I had to choose only one, I would take the ferry to Capri. It is just so idyllic. But it’s a very difficult choice to make! Buon viaggio! I recently did a tour of the Almafi, Sorrento, and Capri ( went in Blue Grotto). The scene from Ravello was AMAZING! Pictures does it no justice, simply Perfection! I’m already planning a trip back to Sorrento as my base very soon! I was in Italy in June-July of 2015 with my family. We flew into Rome for 4 days, and drove to Praiano where we stayed for 10 days. From Praiano we did day trips to Capri (visited all the grottoes, marinas, gardens..etc), Naples (not super impressed), Ravello (beautiful little town), as well as a few others before driving back to Rome. Highly recommend staying in Praiano in a villa near the beach. It was nice sightseeing, but taking a few days off on the beach definitely made the vacation more relaxing. Thinking of going to Milan (where we have already been), as well as the Ligurian coast with my family next year. Do you have any recommendations? Hi Amy, Sounds like you had an incredible trip to Rome and the Amalfi Coast area! Beach time is always a good idea to break up busy days of sight-seeing. 😉 Unfortunately, I haven’t visited Milan or the Ligurian properly since I was a child. It’s changed a lot since then! Thank you for your response dear Travelling Mom…we have decided to do Capri! Delighted to hear it! Buon viaggio! Reading you page has us so excited about our upcoming trip to Europe in August! We are flying in and out of Hungary but will make a trip to Italy for a week. Can you recommend a place to stay in Sorrento and on Capri? Any other recommendations or tips are appreciated! 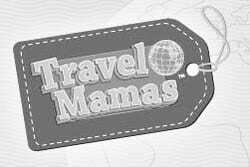 We are traveling with a then 3 yr old and 10 month old.thank you again! Hi Veronica! Thanks for your inquiry about Capri. A couple of accommodation options for you. Check out La Scalinatella or Casa Morgano. La Scalinatella doesn’t allow kids, but I’m not sure whether you’re traveling with children? Either way, hotels on Capri will come at a price, so perhaps Air BnB may be a cheaper option for you. We stayed in Sorrento and visited Capri for the day, which worked out very nicely as well. Buon viaggio! can you get local limoncello in any narrow ally or are there some narrow allies that are more picturesque that I should spend my *too short* time in? There are so many places to taste and purchase limoncello! If you’re planning to visit Amalfi, they have some very picturesque shops there as well. Hi there, can you suggest a place to stay in Sorrento? We are traveling there this summer and I’m having a hard time deciding. It’s a tough one for Sorrento. We stayed in a timeshare when we visited, which I admit may not helpful to your needs. I would scour Booking.com to get the best hotels and rates for your visit. That’s the resource I use myself to find good hotels in Europe. Sorry I can’t be of more help! We are going to be in southern Italy from Oct 14 thru Oct 21. Flying into Rome. We are planning for 7 days in the Amalfi coast and 2 days in Rome (we have been to Rome before just visiting a couple sites that we missed). Where to base Sorrento or Positano. Hi Louis, That sounds like an exciting trip!! Seven days in the Amalfi Coast area will be amazing. Yes, you must visit Pompeii for ate least one day. When we travelled from Rome to Amalfi, we took the train and then hired a van to drive us to Sorrento when the trains suddenly went on strike in Naples – ‘sciopero’. These can happen at any time so FYI. We based ourselves in Sorrento and loved it there – wonderful little town with lots of Limoncello spots and a super base for exploring the region. We toured the coast by bus with a local driver who knows the windy and steep roads. Highly recommend! Personally, I don’t think you have enough time for Sicily – there’s so much to see and discover there on its own – but I leave it up to you. 🙂 Happy travels! Hi Claudia, thanks for a lovely article. Hi Devonte, Sounds like an exciting trip! 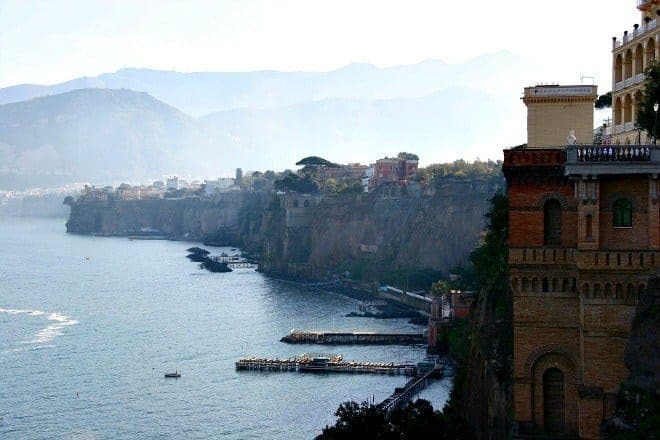 You can take the train from Naples to Sorrento, or hire a car to drive you there too. Either will work well. 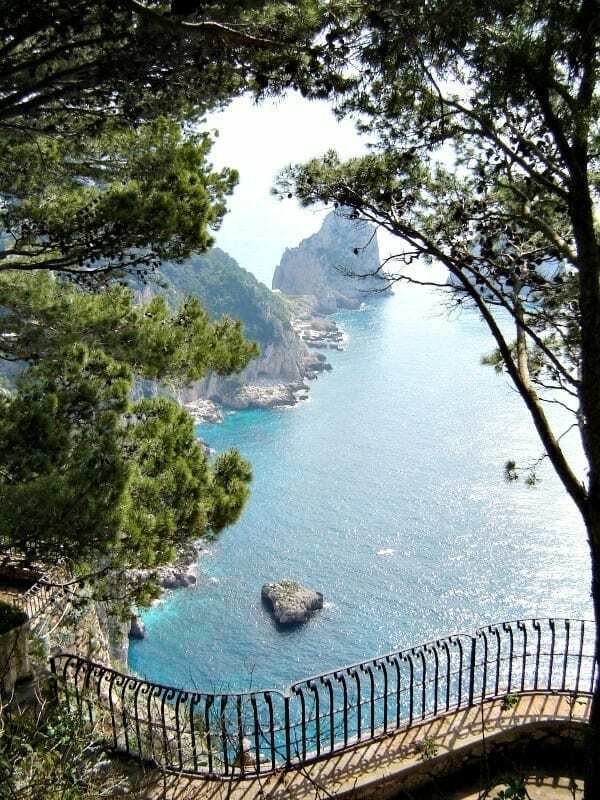 A night over in Capri is a great idea, and there are lots of walking trails to take on the island. 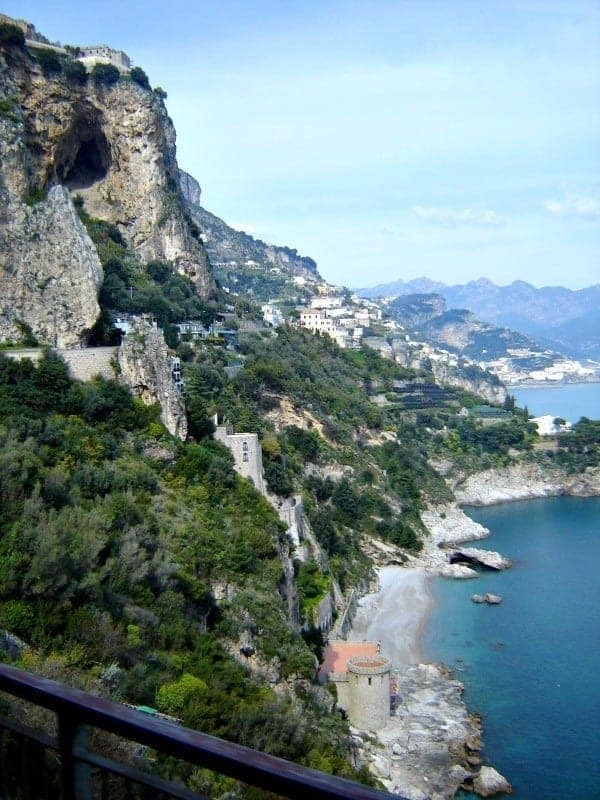 A bus ride along the Amalfi Coast is a must do. Maybe if you have time even spend the night in Amalfi or another little coastal town that you like. They are all different (some fancy, expensive or more rustic), so do some research and choose the coastal town that you think suits your travel style the best. I hope you have time to stay and visit Sorrento and its limoncello places (if you like that) – it’s a lovely little town. October should be a great time to visit – not too busy with tourists, nor too hot as it was this summer. Buon viaggio! I wanted to know how many days should happen in capri and sorrento to take advantage of the stay, in the month of May for honeymoon. This is a great article.Thanks for sharing. Thank YOU for reading! I’m glad you found it useful. Oh be still my heart! We just returned from a trip to Italy which started with 2 days in Sorrento…our hotel is in the top right corner of the top pic of your post. Grand Excelsior Vittoria. Oh my word….magnificent is a great adjective, but doesn’t even do it justice. Unfortunately it rained our entire time there….as well as the rest of our vacation (booo!) but Sorrento was still phenomenal. Already planning our next trip with your tips in the post that I pinned. Grazie! How fantastic Miriam! I’m so glad to hear that you enjoyed such a wonderful time in Sorrento! It’s incredibly beautiful, isn’t it? 😉 You must return again, this time with my tips in hand (thank you!) and during a warm, sunny spell. Happy travels! Great article with good insights. It will help people who are planning to go to Italy. Thanks for your information. It is really helpful. Hi!!! My boyfriend and I will be flying into Rome sept 23rd 2019 for 2 days, then a wedding in bologna for 3 days. We want to make it a total of a 2 week vacation. I have never been outside the US!! What other spots in Italy would you say are a must for us to visit and for what durations?? That’s very exciting Shannon! This is going to be an amazing trip for you. I would highly recommend spending a minimum of three days in Rome, then added to your time in Bologna, it leaves you just about a week or seven days for either Florence, Milan or Venice. Or a combination of the three, though I wouldn’t recommend all of them in one week. I think it would be too rushed. You could easily divide your time between Venice and Florence, and if you have extra, perhaps Siena, which is beautiful and not far from Florence. Will you be driving or taking the train? Send more details and I can provide further information for you. Cheers! Such a beautiful article. Very interesting to read and This is very useful for travelers.